A robotic dancer stole the limelight last week at the Hackney Empire after scooping the winners prize at the Discover Young Hackney Competition. Tolu Okamnlawon, 17, beat 11 other contestants to win the Alter Ego talent show title, which searches for the best young talent in Hackney. Talking to EastLondonLines, Okamnlawon said; “I feel like this is only just the beginning on my journey as an entertainer. “I have a strong passion for dance because I find it easy to express myself through other people’s music. I’ve been dancing for two years since the age of 15. 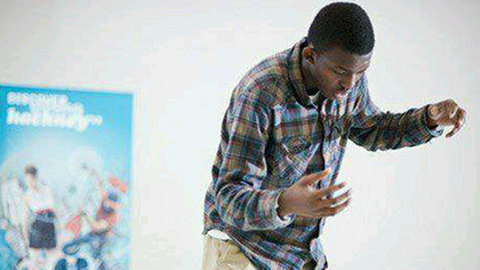 Singer Jermaine Jackman, 17, came a close second after his rendition of Somewhere Over The Rainbow. Guitarist Jess Furneaux, 16, came third. Kat B, who has appeared on MTV and even more recently played the ugly stepsister Victiqua in the Empire’s Christmas panto, was the host for the evening. Okamnlawon is currently in his first year of college and now has to turn his attention to getting prepared for his exams this summer.